The Scoundrel is really a softy that just wants you to play. And his wine simply follows his example – Cabernet and Syrah play very well together, delivering fruit and spice in a wine of medium weight with a satiny finish. Finely grained tannins balanced with mouthwatering acidity frame flavors of Maraschino cherry, white pepper, and a note of cranberry. 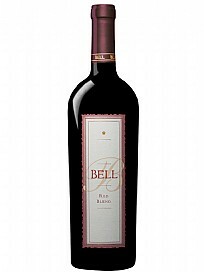 Soft texture expands from mid-palate, creating a graceful end note to this appealing wine, perfect for a variety of foods.